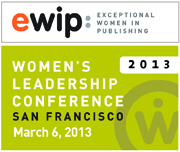 About this Event: Expect another great event from EWIP at the fifth-annual Women’s Leadership Conference. This year’s program “Be Exceptional” features our signature all-female roster. Go to the 2013 Conference page for updates of the news as it develops.